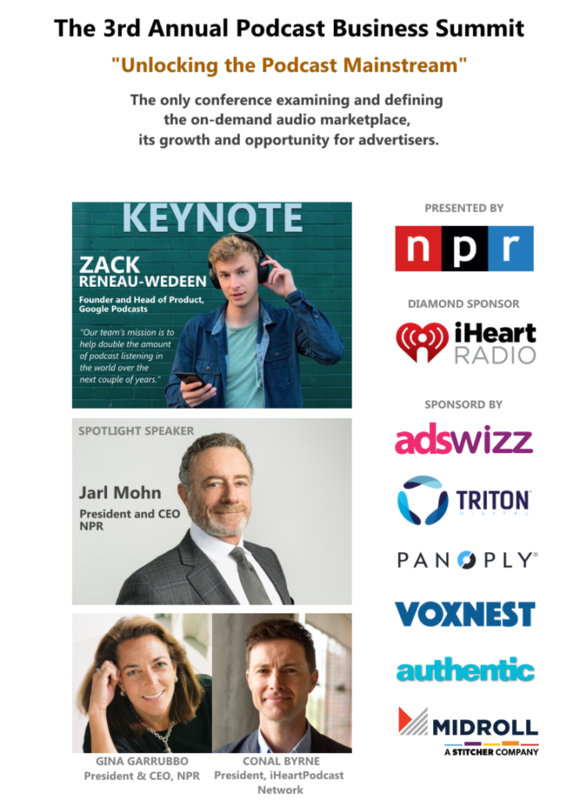 The 3rd annual RAIN Podcast Business Summit, March 5 in New York, will feature executive leadership from Google, NPR, iHeartPodcast Network, and several of the most influential podcast and technology companies in the field. This business-focused event was created to serve advertisers and podcast agencies, to illuminate the ad-supported lifeblood of podcasting and its unique opportunity to marketers. This year’s conference theme is “Unlocking the Podcast Mainstream,” and will focus a dynamic half-day program on how podcasting is maturing toward mainstream status in audience, professionalization, and advertiser adoption. The Summit has quickly become the leading global business conference on the enterprise side of podcasting. Keynoting the event will be Zack Reneau-Wedeen, Founder and Head of Product for Google Podcasts. Reneau-Wedeen owns the podcast vision at Google, the largest media property in the U.S.: “Our team’s mission is to help double the amount of podcast listening in the world over the next couple of years.” Last year Google released its first dedicated mobile app, Google Podcasts, but the strategic vision goes much deeper into Google Search, native audio, and easier ways for newcomers to become listeners. Jarl Mohn, President and CEO of NPR, will appear in a Spotlight Interview discussing the future of on-demand audio from his perspective as leader of a multi-platform national juggernaut, and the world’s biggest podcast producer. In another interview session, Conal Byrne (President, iHeartPodcast Network), who joined iHeartMedia when his Stuff Media network was acquired, will describe his view of the industry with Jaclyn Peiser, Media Reporter at The New York Times. Stuff Media’s flagship show, Stuff You Should Know, is the #3-ranked podcast in the Podtrac monthly ranking (December). The Podcast Business Summit is a streamlined 9:00-1:00 half-day event with light breakfast and networking starting at 8:00am, and a light networking lunch afterward. 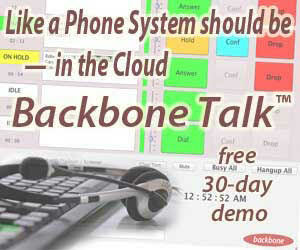 There is a break in the middle for more networking. Last year Google introduced a new podcast app and a startling vision for growing the audience: Our team’s mission is to help double the amount of podcast listening in the world over the next couple of years, says Zack Reneau-Wedeen, the founding developer of Google’s mission. This keynote interview will explore his comprehensive vision of bringing on-demand audio to everyone. In a time when competition for consumer attention is stiffer than ever, brands are finding podcasts to be an effective way to develop a one-to-one connection with audiences. American Express, a brand that already commands significant audience attention, has turned to podcasts to raise awareness about its global brand platform and commitment to customers – individual and commercial – and to connect on a more personal level. Gina Garrubbo, the CEO of NPR’s sponsorship subsidiary, sits down with Joe Bihlmier, Vice President of Global Media at American Express, to discuss how the global payments brand leveraged their sponsorship of NPR’s How I Built This into a cross-platform campaign including digital extensions and live events, and how audio fits into their broader marketing strategy. An illuminating chat with the leader of one of the most successful podcast publishers whose programs are downloaded and streamed over 60-million times a month. With time spent listening to podcasts more than doubled since 2014 and podcast ad revenue expected to hit $659M by 2020 according to the IAB/PwC Podcast Revenue Study, many in the industry are committed to further advancing podcast measurement beyond the download metric. With lessons learned in digital still fresh, debate over the best solution for all stakeholders – including podcast listeners – has begun. Some of the most active and vocal participants in this conversation meet on the RAIN stage to discuss the key issues on the table, how metrics play into the growth potential of this medium, the balance of user privacy and what’s on the horizon for 2019. The chief executive of NPR shines light on the future of on-demand audio as a mainstream media category. Live host-read sponsorship messages are the traditional podcast advertising format. But an array of advertising solutions, formats, pricing models, and technology have developed to serve different marketing needs and expand the range of buyers. In 2017, host-read ads represented 70% of revenue, leaving room for pre-recorded ads. 42% of podcast revenue came from sponsor messages automatically injected into current and past shows. Programmatic audio is entering the podcast realm. Branded podcasting grew from 1.5% to 6.5% in a year. This panel explores and untangles how podcasting serves marketers of all types. 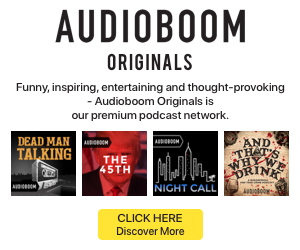 If it is fair to say that “Serial” started the modern podcast period, its influence established True Crime as a stock and steadfast category for new show development. But as high-quality podcast creation expands in many directions, which up-and-coming categories are exciting listeners and advertisers? This panel discusses how decisions are made, and what show types are trending.